PLCA – BCH Submission to enquiry. Please see Current Issues page. Now closed. BoQ may re-open Bulk Buy in the future. Please see above URL for more information. On 22 October the Borough Council approved the preparation of a detailed feasibility and financial analysis of Option 2 (Landscape Improvements) in its Discussion Paper but expanded to include a list of suggestions made by the community based Project Reference Group. The Council also decided that this should include a financial assessment of possible sources of both capital funds and recurrent costs. It is our belief that our members wish to see the site preserved and maintained for future generations and in this context wish to see interpretive works undertaken to highlight the unique qualities of such a significant site. As part of this thinking research as to protections under historic sites, national park status and management should also be investigated. The historical, environmental, maritime, indigenous, military, social and navigational need to be celebrated. Interpretive signage, improved roads and pathways, a more orderly parking area, picnic and BBQ facilities, improved access to the lighthouse, a ship viewing area and information, weed management, toilet upgrade (a new toilet and shower block) and maintenance, removal and /or maintenance of Toc H buildings and graffiti removal are all high on the agenda. The community is emphatic in its view that new building works are not part of the project. Finally, the Reference Group recommended to the Council that it continue to operate in order to provide input to the Council on the future of the Reserve, but also suggested other similar process options. The Borough subsequently has confirmed that the Reference Group has concluded in accordance with its Terms of Reference but also advised that it up to the Council to determine the future process for the Lighthouse Reserve project. 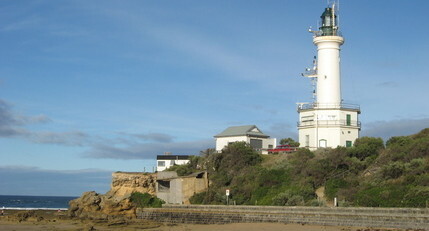 One option under discussion in the community is the declaration of the Point Lonsdale Lighthouse Reserve and surrounding area as a National Park. PLCA has met with the Victorian National Parks Association (VNPA) to understand the pros and cons of declaration as a National Park. VNPA has demonstrated particular interest in the Point Lonsdale Lighthouse Reserve and concern was expressed about potential Council developments in the reserve in its comprehensive review of coastal development published earlier this year (The Coast is Unclear – the uncertain future for nature along the Victoria coast). VNPA has made a statement on the Lighthouse Reserve which includes the following: Deciding the most appropriate type of protection under the National Park Act is complex and would require considerable amount of community and expert input. The PLCA Committee supports the recommendation to the Council made by the Reference Group to start a community engagement process to determine the appropriateness of National Park status for the Reserve and surrounding area. PLCA will seek input from members on the National Park option as appropriate and in the light of the Council’s decisions regarding the Reserve at its October meeting. Earlier this year the Victorian Government requested the Victorian Environmental Assessment Council (VEAC) to undertake an investigation into Historic Places on public land in Victoria. The role of the VEAC is to conduct investigations that are requested by the Victorian Government relating to the protection and ecologically sustainable management of the environment and natural resources of public land. By co-incidence, this includes investigations regarding whether a particular area should be declared a National Park. VEAC must provide a report on the Historic Places Investigation to the Minister for Environment and Climate Change by March 2016. The deadline for public submissions in the first stage of the investigation was 8 September. PLCA has made a submission to VEAC regarding the Point Lonsdale Lighthouse Reserve and surrounding areas which PLCA considers to be an historic place in terms of the Investigation. The submission urged (1) greater controls to prevent large scale commercial development in historic places, (2) greater enforcement of the requirements of management authorities responsible for historic places such as the Borough, and (3) greater scrutiny of the expenditure of income generated from historic sites. The key submission by PLCA was made under the heading “Halt Inappropriate Development on Historic Place”. PLCA submitted in relation to the Point Lonsdale Lighthouse Reserve that a development such as a boutique accommodation and thermal spa, or indeed any form of accommodation or restaurant, should not be allowed to proceed on the Point Lonsdale Lighthouse Reserve until after the Historic Places Investigation has been completed and recommendations considered by the Minister for Environment and Climate Change”. PLCA sent a copy of its submission to the Council and asked whether it had made a submission to the Historic Places Investigation. We have been advised that no submission was made after consideration of the Terms of Reference of the Investigation. However, the Borough has provided PLCA a copy of a letter it wrote to VEAC “the purpose of which was to clarify some of the information provided in the PLCA submission”. The Borough outlined the various planning considerations applicable to the Reserve and provided details of the process it is undertaking to determine the future of the Reserve. As mentioned in the item above regarding the National Park Option, Andrew Sutherland also made a submission to VEAC (see copy of submission via link in previous item). Andrew’s extensive submission contains a very interesting and detailed description of the historical nature of the area including a large number of photos and graphics. His submission outlines site management options for the Point Lonsdale site and highlights deficiencies in the roles of Committees of Management of such sites.